Brazil is as big as the entire European continent so no wonder it has many attractions. But most of the tourists, usually visit only Rio de Janeiro - and although Rio is beautiful indeed, I prefer other destinations way more. We've visited Brazil from the South to the North - from the adventure in the Amazon jungle, to the blue caves of the National Park in Chapada Diamantina, the cities of Recife and Salvador, coral reefs of Porto de Galinhas, sand dunes of Lencois Maranhenses, historical towns of Minas Gerais, paradise beaches of Paraty and the wonderful Iguaçu falls. Olinda is an amazingly beautiful and brightly colorful town located north from the Recife metropolitan area in Brazil. The region is famous for its paradise beaches with coral reef pools (see my post here). But apart from the natural wonders, you can also find such architectural gems as the little town of Olinda here. Although Olinda receives many tourists, hardly ever any of them is from abroad. People know only about Rio when asked about Brazil. And there's so much to discover! Take a look at the beautiful photos from Olinda and don't miss it during your trip in the north of Brazil. The city of Sao Luis is usually not included in the itinerary of foreign visitors coming to Brazil. It's completely off the beaten path and yet it can offer some beautiful, although neglected historical buildings in the city center and world class, unique natural phenomenon you can find nearby - the spectacular sand dunes of Lencois Maranhenses. It was actually Lencois Maranhenses (take a look at my post about it) that brought us to Sao Luis. We also met some friends that we had known before and who lived in Sao Luis now. Thanks to this, we had a chance to explore this unknown city deeper. 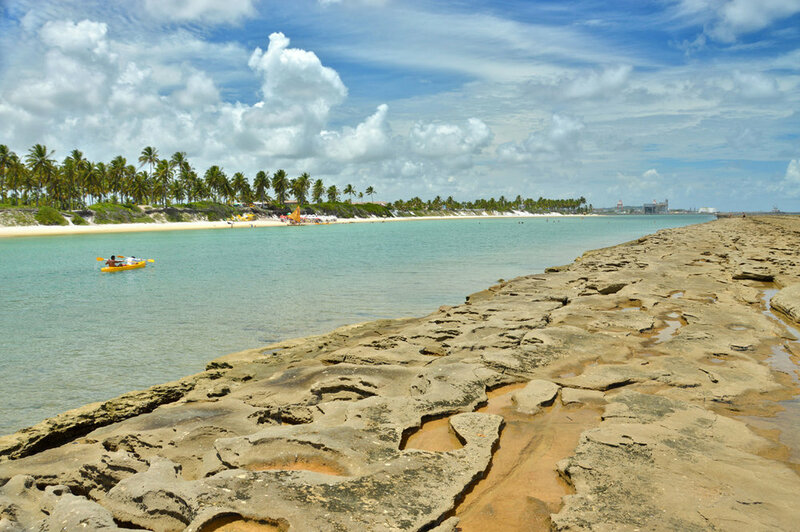 Recife is one of the largest and most important cities in the northern part of Brazil. It's the capital of Pernambuco state which, although offers amazing natural and cultural attractions, is pretty unknown to an ordinary visitor from abroad. I hadn't had any expectations about Recife, thinking it's another big city filled tightly with the forest of high-rise buildings. Even though we were only passing through Recife, having no plans to stay there longer, it surprised us in a nice way - especially the old historical center and the beautiful waterfront. Chapada Diamantina National Park is perfect for those who love wild, untouched nature and off the beaten path places with virtually no tourists. Besides the world's class wonders such as spectacular caves with clear blue waters where you can swim as well as table mountains covered with cactuses and succulents, Chapada Diamantina offers in no way less impressive rivers and waterfalls. During our 3-day stay in this beautiful National Park, we had a chance to explore quite a lot, however, there's so much more to see and in this post you'll see only a fraction of what you can expect. Nevertheless, those 3 days were more than enough to fall in love with Chapada Diamantina! The Amazon region is mainly known for adventurous tours exploring the wildlife, jungle treks and river boat/canoe trips. Literally nobody would come here to enjoy the city life. However, the capital of the Amazonas state in Brazil, although located right in the middle of the world's largest rain forest, is a real metropolis with over 2 million inhabitants. The city is basically isolated from the rest of the country which preserves the original culture of the native tribes and gives it the unique touch. And, of course it is the starting point and gateway to the rest of the truly exciting area of the Amazon in Brazil. Right in the place where the borders of three countries (Brazil, Argentina and Paraguay) meet, lies a true natural gem for all those who love adventure and breathtaking scenery. Iguaçu Falls are righteously placed among the greatest and most spectacular waterfalls on the planet. They can easily compete with the famous Niagara Falls or Victoria Falls in Zambia/Zimbabwe. What is absolutely amazing about Iguaçu Falls is the fact that it's less commercialized than Niagara and you are literally surrounded by the miles of rain forests in the center of the national park. There are around 275 falls and cascades within the area creating nature's unforgettable spectacle that cannot be missed while visiting Brazil or Argentina! Lençóis is a little, charming town in the middle of a large Natural Reserve - Chapada Diamantina National Park in the northern part of Brazil. Usually not visited by western tourists (in contrast to Rio de Janeiro), Chapada Diamantina is a proof that Brazil has much more to offer than Copacabana Beach. To get there, it is easy to catch a bus from the beautiful city of Salvador in Bahia. And then, Lençóis is usually the first step to visiting the vast swathes of The National Park. This cozy, quiet town with cobblestone streets and colonial architecture is as enjoyable as the spectacular highlights of the area: Blue Caves, waterfalls and magnificent table mountains. Especially after dark, when you can sit down in one of the restaurants or bars when you're back from the adventurous trips in the area. After spending all day canoeing down the rivers and streams of The Brazilian Amazon rainforest, piranha fishing and getting caught in the torrential rain (click here to read a full article about it), it's time to venture into the wild jungle. 2 days and nights in a dense forest - forget about even a simple hut, bed to sleep, running water or any other basic blessings of modern civilization. Out of around 20 people who were staying in the Amazon - only 5 decided to take a risk and join the jungle tour! And, although it's not comfortable in any way, I would definitely recommend it! Not everyday you have a chance to experience real wilderness! Around 60 kilometers (37 miles) south from Recife, the capital of Pernambuco state in Brazil, lies the beach town of Porto de Galinhas. The beach nearby is believed to be one of the country's most beautiful - this is obviously because the numerous pools shaped naturally by sea waters among the stunning coral reefs that surrounds the coast. Porto de Galinhas is very popular in terms of tourism, however mainly with Brazilians. When I was there, I didn't encounter any foreigners who usually, when traveling to Brazil go only to Rio de Janeiro. Also, very rarely people spoke English. This situation might change however after the 2014 FIFA world cup as Recife is one of the cities hosting the games. When we travel we always have expectations about the place we want to see. Sometimes it surprises us, sometimes disappoints. However, very often we come across something completely unexpected, something unusual. It was the same for me when I traveled to Porto de Galinhas in Brazil. I was planning to visit the beautiful crystal clear beaches and swim in natural pools with the coral reef full of colorful fish. If you are searching for a relaxing, quiet vacation with five start hotels, swimming pools and great comfort, then definitely don't go to the Amazon. Although it is possible to stay in a highly luxurious resort where even some celebrities stay for an astronomical amount of money, I believe that the Amazon is not about comfort. It's about experiencing the raw nature. This trip was one of those that I enjoyed the most even if it was an organized tour by a travel agency. People who travel to the Amazon are usually very down to Earth and easy going, not afraid to "get dirty", I met some cool friends there. And, it was one of the best adventures of my life. The Bird Park (Parque Das Aves in Portugese), located in the town of Foz do Iguacu, near the famous Iguacu Falls right on the border between the three nations: Brazil, Argentina and Paraguay is a great attraction itself. 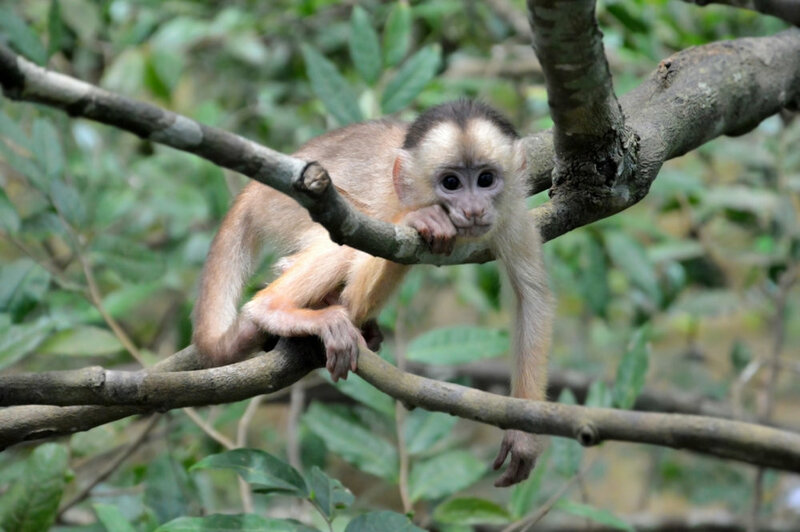 It's set within the 16 hectares (40 acres) area of sub-tropical rain forest and provides shelter for around a thousand birds (150 species) as well as butterflies and reptiles from both all South America and other exotic places. The park is privately owned and very well maintained. It was opened in 1994. Rio de Janeiro is known in Brazil as "Cidade Maravilhosa" - the wonderful city. Without any doubt it is wonderful. The introduction is probably unnecessary as Rio is one of the best known cities in the world. I had only three days to visit this city and for sure it wasn't enough. But anyway, I had a chance to take a glimpse of the most important places a visitor should see. And it was a great experience. However, my first impression after arriving at Rio de Janeiro International Airport was a surprise that the terminal was so small. It reminded more of a domestic airport rather than international one. For such a famous place, I had expected something much bigger. There is one little coffee shop, and even in the departure terminal there is only a cafe - bar and a few shops with souvenirs at astronomical prices.